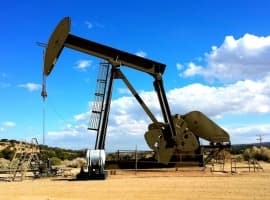 OPEC didn’t surprise anyone when it said in its World Oil Outlook (WOO) 2018 that the world’s primary energy demand will surge by 33 percent from 2015 levels to 365 million barrels of oil equivalent a day (boed) in 2040, with developing economies accounting for nearly 95 percent of this growth. It also didn’t come as a surprise that India and China are forecast to be the most important contributors to energy demand growth, either. Energy demand in India and China is expected to jump by 22 million boed and 21 million boed, respectively, by 2040—accounting for more than 50 percent of energy demand growth in developing economies, OPEC reckons. BP Energy Outlook 2018, for example, also sees China, India, and other emerging Asia economies accounting for around two-thirds of the growth in energy consumption through 2040. Regardless of the peak oil demand and energy transition narratives, OPEC still expects oil to retain the highest share in the global energy mix through 2040, at 28 percent, higher than natural gas and coal. 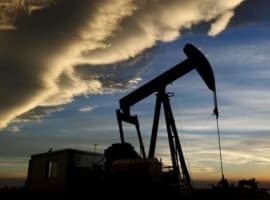 “Despite relatively low demand growth rates (especially for coal and oil), fossil fuels are projected to remain the dominant component in the global energy mix, with a share of 75% in 2040, albeit a drop of 6 percentage points from 2015,” OPEC said. Medium-term oil demand growth—that is through 2023—is expected to average 1.2 million bpd each year, OPEC said in its WOO. Yet, longer term, an “important observation is the steadily decelerating oil demand growth at the global level” through 2040, with growth expected to slow from 1.6 million bpd annually in the years to 2020 to just 200,000 bpd yearly in 2035–2040. Given the concerns about a possible slowdown of the global economy and oil demand growth, OPEC’s near-term demand forecasts in the annual WOO are way too optimistic. So, the assumptions in the annual OPEC’s World Oil Outlook 2018 of 1.6 million bpd demand growth through 2020 are much more optimistic than what the oil market and global economy have suggested in recent weeks. Oil prices hit four-year highs in early October, only to tumble into a bear market and one-year lows just six weeks later. 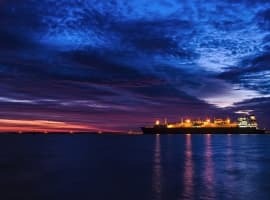 What looked like a looming shortage of supply with U.S. sanctions on Iran just two months ago turned into rising concerns that the market is tipping into oversupply with OPEC and Russia pumping additional barrels since June and U.S. oil production surging to record highs. “We have underestimated U.S. shale … And now we are at risk of underestimating it again but collectively as a group, we understand shale better than before. Still, it continues to surprise us on the upside,” OPEC Director of Research Ayed Al-Qahtani said this week, as quoted by CNBC. Al-Falih also admitted that the U.S. sanctions on Iran didn’t remove as much oil from the market as expected. Three weeks ahead of the full OPEC/non-OPEC meeting in Vienna—where the group could make decisions on ‘balancing and stabilizing’ the oil market—oil is in a bear market and participants fear another glut is coming. Saudi Arabia’s al-Falih appears confident that OPEC’s de facto leader will have its way at the early December meeting and tried to calm the severe selloffs of the past two weeks with his signature ‘whatever it takes’ phrase.